街の英語：The Best Coffee is like,,, - Brew anyone? 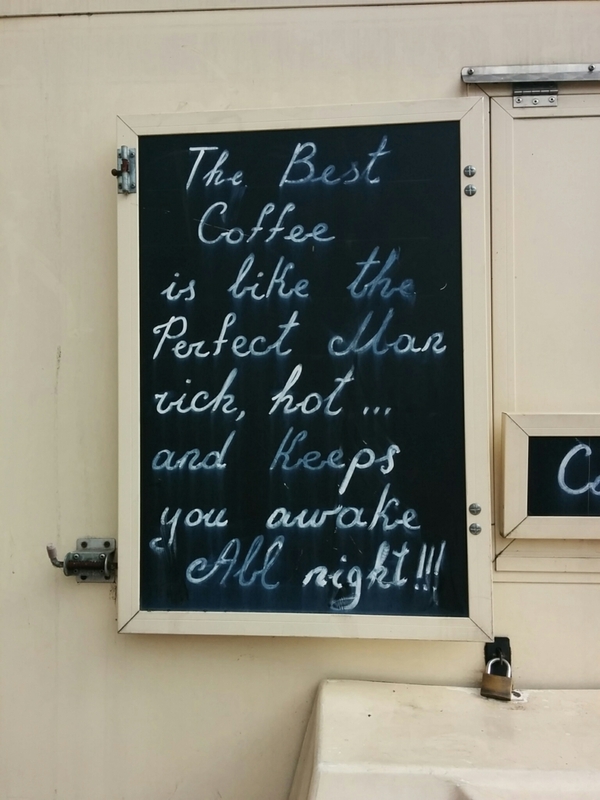 rich, hot,,, and Keeps you awake All night! !